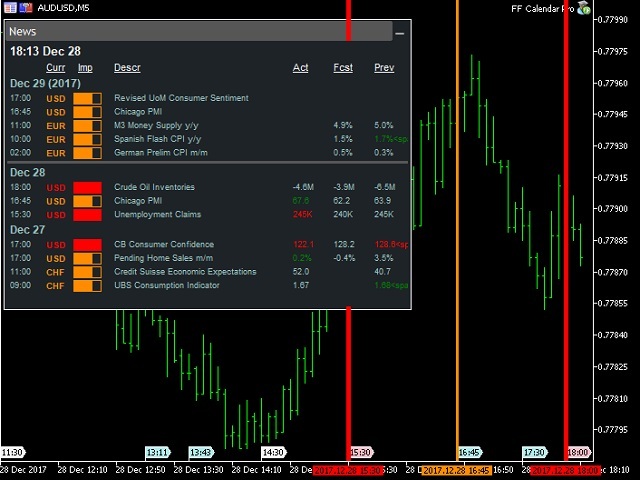 FFCalendar Pro is an advanced version of the FFCalendar free economic news calendar you can find here: https://www.mql5.com/ru/market/product/23647. 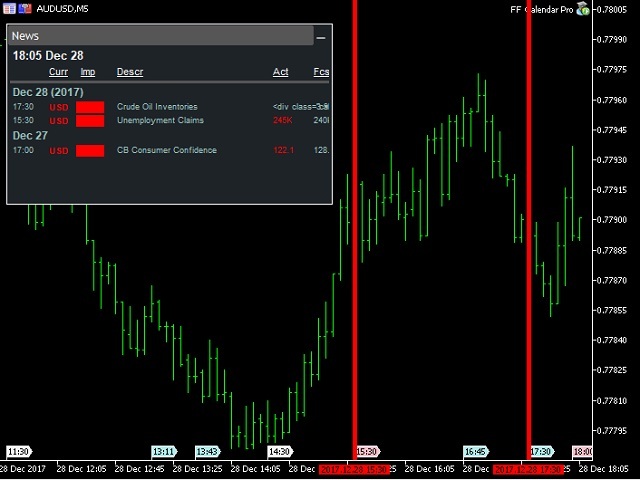 Before attaching the Calendar to the chart, add the URL https://www.forexfactory.com/ to the Options -> Expert Advisors -> 'Allow WebRequest for listed URL', and also set your broker's terminal GMT time. Excellent Calendar, just what I was looking for! Alexander is a great programmer. 1. 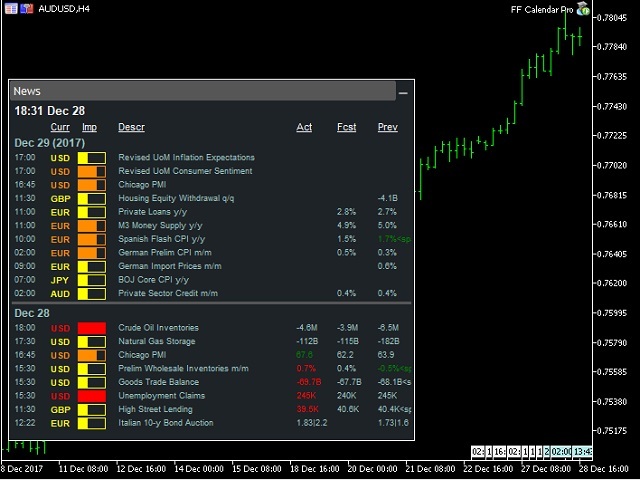 The tool has been adjusted to reflect the latest code changes on www.forexfactory. 2. Added a system for smart processing of information received. 3. Calendar database file has been updated. 3. 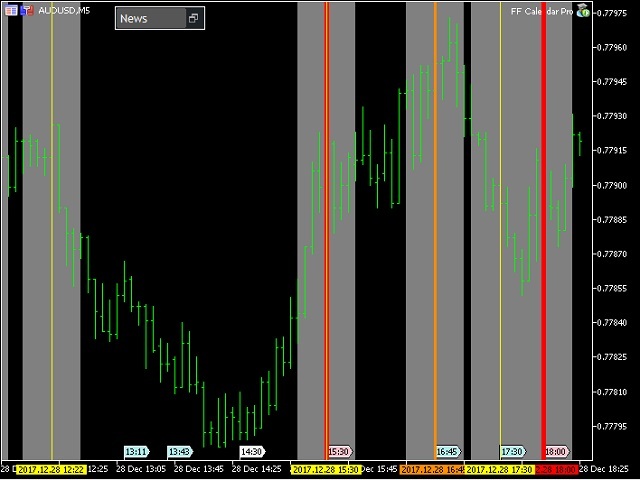 GMT Time and Traders's time are set automatically. 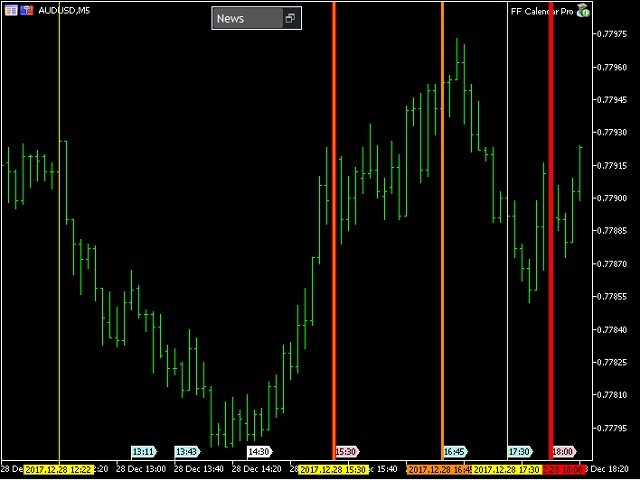 The program has been adjusted to the latest code changes on www.forexfactory. 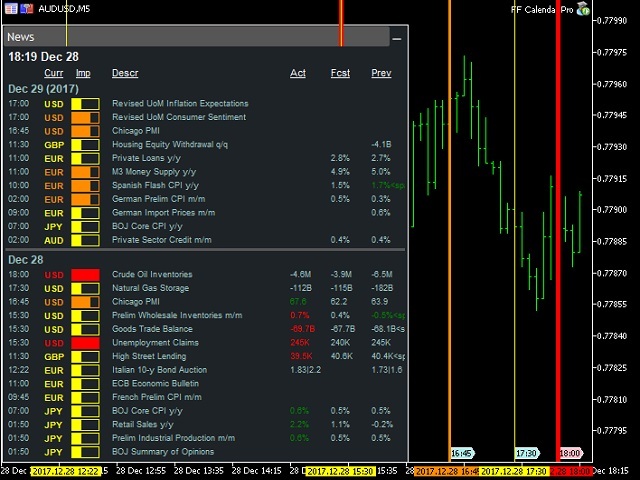 Adjusted the utility to the new changes on the www.forexfactory website.